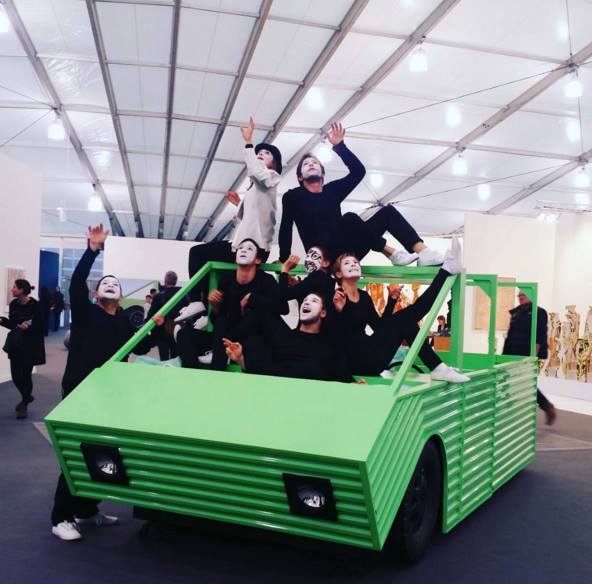 Broken Box Mime Theater collaborated with Turner Prize-nominated British artist Anthea Hamilton on Kar-A-Sutra at Frieze Projects. The live installation, based on Italian designer Mario Bellini's photo-essay on a utopian home, was conceived as a mobile living vehicle meant to foster creativity, community and growth. Our long form performance installation consisted of a continuously inhabited mimic space, a group of bohemian mimes slept, traveled, played and relaxed, exploring all the potential geometries of the vehicle. 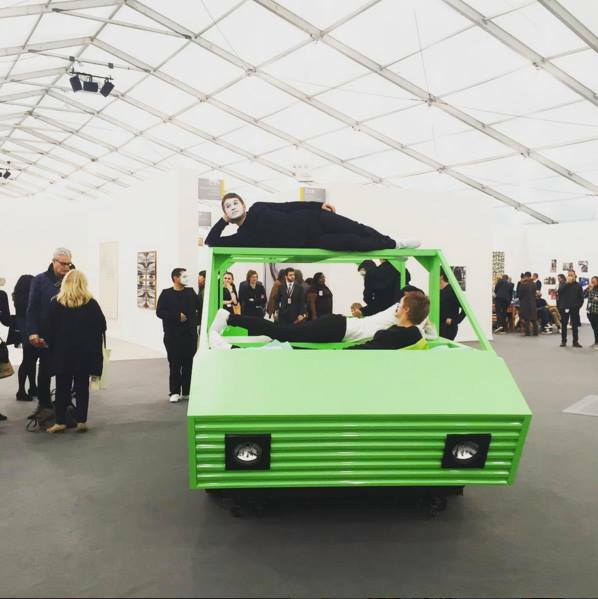 Several times a day the group activated and took the car on an invisible vacation through the gallery. Ms. Hamilton chose for us not to interact at all with the omnipresent audience. Normally, a mime under those circumstances would immediately make contact with the audience very quickly, which leads to a certain performance mode, instead the paradox of the piece remained intact, as we maintained our idyllic environment amongst the crowds and reactions. This hermetic reality resonated with the inaccessibility of utopia, something one might watch from afar but never reach or experience.